While there has been a significant increase in the level of competition when it comes to tablet electronic devices, Apple’s original iPad was arguably the first of its kind. Offering everything the smaller, yet productive iPod Touch provided, along with most of the features of the iPhone 4, and those who purchased an iPad were more than elated to own a much more pupil-friendly product. Couple that with the inclusion of faster data speeds and the expansive display, and tablet popularity took off in a direction many weren’t familiar with. Nevertheless, since its introduction in April of 2010, Apple has been working feverishly to improve the already feature-heavy handheld virtuoso. And with that dedication, has come the unveiling of the iPad 2. Tomorrow on March 2, Apple will release its latest prototype for what should be a faster, and more productive counterpart to its older sibling. While there’s still some hysteria and uncertainty over what the iPad 2 will include, Mac Poker Online is here to bring you all of the latest rumors and educated hypotheses of what Apple’s newest product may provide. Its size: Currently the Apple iPad sports a .5 in (13mm) diameter frame, that albeit small, fails in comparison to a few other competitive tablets on the market. Its most rivaled antagonist, the Amazon.com Kindle is much thinner, and while it certainly doesn’t entice users who are looking for a full-featured computer tablet, it still did set the bar incredibly high for tablet sizing. Apple’s new iPad 2 has been said to have slimmed down significantly, and will also be much lighter for those who may have complained about its previous weight. Its speed: The iPad does have a noteworthy processor, the Apple A4 chip, but despite its success many competitors have gained an edge by including more efficient processors to improve performance. In Apple’s latest iPad release, a zippier, more resourceful A5 chip manufactured by QualComm should certainly gain Apple a few more enthusiasts. 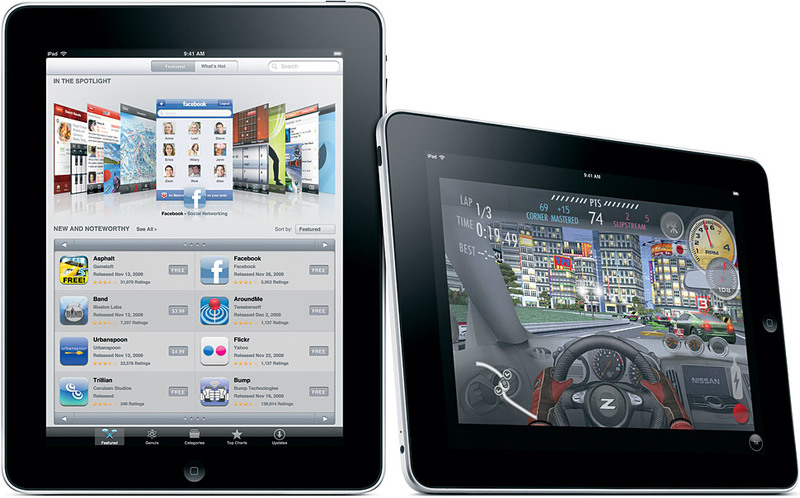 Others have also wondered whether or not the Apple iPad 2 will include 4G support. The short answer? Apple looks to be undecided. 4G speed for most networks seems to be sub-par in comparison to most industry expectations. While 4G networks do provide a speed-boost, it’s being speculated that both Apple and Verizon are working towards either 4G network compatibility or components for a link between Apple products and Verizon’s even quicker Long-Term Evolution (LTE) network. It’s a Camera! : An easy improvement (and one of the most obvious) for many electronic devices is to improve its camera quality. It’s been rumored that Apple’s iPad 2 will not only improve by including one, but it may also provide a second camera option. One for the front display and one located on the back, a dual camera may be innovative, but the knock on this characteristic may be its usefulness. The inclusion of “FaceTime” for diehard Apple iPhone holders seemed like an easy way to satisfy and amuse future consumers, and it appears that many may be looking to spend more one-on-one time in the upcoming weeks. Its display: While Apple has released an unbelieveable retina display with its iPhone 4 product, it’s very improbable that the latest iPad will feature the same beautiful display. Because of several technical issues with its inclusion, along with a potential increase in its retail price Apple has likely decided to leave this component for future versions. The price: The most intriguing and sought after news regarding the iPad 2 unveiling, Apple may be looking to reduce its retail price in order to compete amongst others. Although in several Apple reports, the company doesn’t believe it needs to in order to compete, attracting a wider array of consumers is always one of the main focuses of a re-released product. Apple could look to drop their original iPad price ($499) by nearly 10 percent, according to the smart financial folks over at Goldman Sachs Group, Inc. While many things about the iPad may change, one thing that is certainly expected to remain stagnant is Apple’s strangehold on the tablet market. Selling nearly 15 million copies in just 9 months in 2010, many may in fact instead be worried whether or not Apple will be able to release enough products to keep up with the increasing demand. Internet bidding sites such as Ebay and Craigslist have already seen an increase in consumer’s exportation of their soon-to-be “ancient” iPad device. Even Apple CEO, Steve Jobs, has been rumored to speak out on the iPad’s new features in San Francisco on Wednesday, in order to assist in spiking interest and product sales. Despite being out of commission for several months due to medical restrictions, it seems to be a possibility. So the real question becomes: Will the iPad 2 be able to live up to consumers’ immense expectations? Only time, or March 2nd, will tell.